Extension of the exhibit surface was carried out through redistribution of the building floor and the excavation of three new under stores. 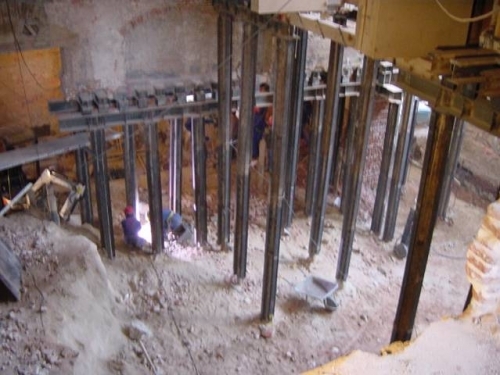 During restoration works the structure had to be supported by steel micro piles and a new reinforced concrete walls to support the original ones. 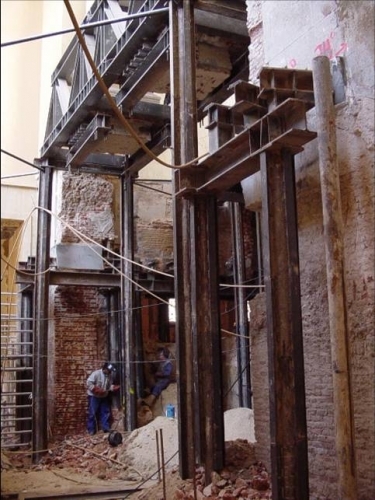 To allow a strict structural behavior evaluation over the different phases of the restoration and evaluate abnormal deformations, small variations of the original structure, and possible cracking, a comprehensive instrumentation including long gage SOFO sensors was implemented. 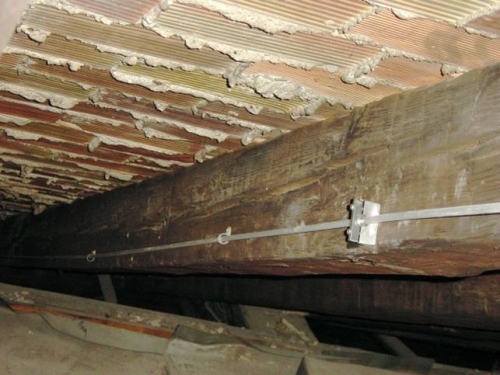 In particular the SOFO sensors were used to monitor the deformations of the timber structure that support the vault of the dancing room with the outstanding fresco of Lucas Jordan (XVIII). SOFO sensors measurements showed how the daily thermal gradient could substantially affect the structure. On the other hand the measured movements due to mechanical strain were not significant for the preservation of the structure integrity.